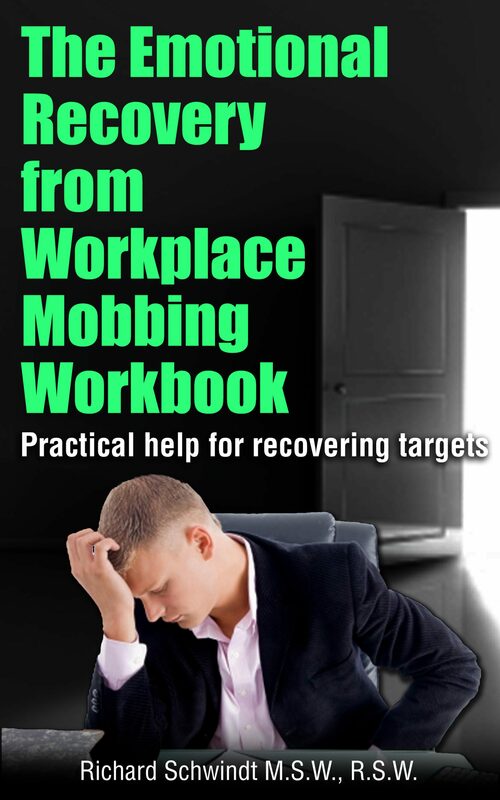 The Emotional Recovery from Workplace Mobbing Workbook is the companion volume to Emotional Recovery from Workplace Mobbing. Building on ideas from the first book it provides ideas, scenarios and questions to help mobbing targets move on. It goes deeper into how people can use Cognitive Behavioral Therapy, Solution Focused Therapy and Self hypnosis to move forward. In addition it addresses the sticky question of returning to work; how to prepare and what to watch for at your new employer. Scenarios and case studies are followed by questions designed to help you look inwards and learn from your experience. This is an ideal next step in your emotional recovery. Otros ebooks de Richard Schwindt.